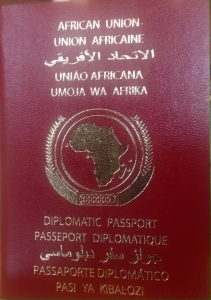 The African Union (AU) has launched its continental Africa-wide passport, with the presidents of Chad and Rwanda being the first two recipients. 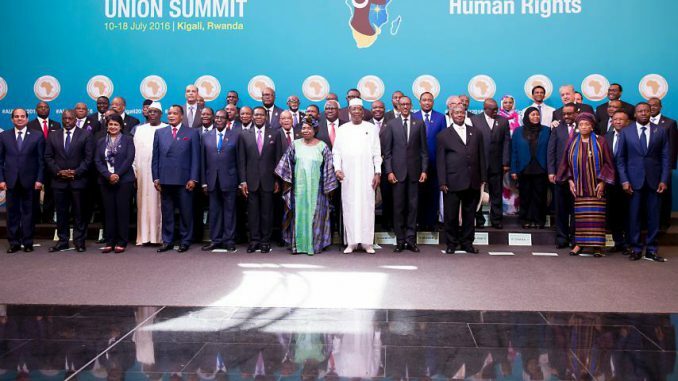 The five-language diplomatic passport, which ensures holders free movement throughout the continent, was unveiled at the opening of the 27th AU Summit in Kigali, the Rwandan capital, on Sunday. Chadian President Idriss Déby, the body’s current chairperson, and Rwandan leader Paul Kagame were presented with the passports by outgoing AU Commission chief Nkosazana Dlamini-Zuma. “I feel deeply and proudly a true son of Africa after receiving this passport,” said Déby. Dlamini-Zuma said that the body had been “overwhelmed” with requests for the passport since its launch was announced in January and that other heads of state would be issued with the document over the course of the summit, which concludes Monday. The document will initially only be available to politicians and diplomats. Images of the passport show inscriptions in five languages—English, French, Arabic, Portuguese and Swahili—and the AU claims that the document has “high security features,” although it is not clear what these are. The AU outlined in 2013 the introduction of a African passport in its Agenda 2063 document, which lays out the conditions for development of the continent over the next five decades. Fifty-four African countries are members of the AU—the only non-member is Morocco, which left a precursor organization in 1984 due to a dispute over Western Sahara, a territory contested by the Algerian-backed Polisario Front. The continent already contains several regional blocs, with different levels of freedom of movement. For example, residents of countries in the Economic Community of West African States—a bloc of 15 nations including Nigeria and Ghana—can move freely between member states without having to obtain visas, or obtaining visas upon arrival. Ghana recently instituted a visa-upon-arrival scheme for all AU residents after President John Dramani Mahama announced the policy in February, saying it would stimulate trade and tourism.